OregaPet is a division of True Leaf Medicine, based in the sunny Okanagan region of British Columbia, Canada. OregaPet was created in response to the huge popularity of Oil of Oregano, and the overwhelming demand for natural pet products containing this herbal ingredient. 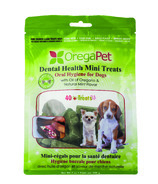 OregaPet products are all-natural, non-toxic, safe and effective, and give pet owners the means to prevent and treat a wide range of common health conditions from the comfort of home.